We’ve been thinking a lot about who we would like to gift Soakboxes to. Our knitter friends are an obvious choice, and ourselves of course! But then we got to thinking about other friends and family. What about our non-knitter friends? They might love the idea, but the “some assembly required mitts” may be beyond their skill set. So that’s where your abilities come in. You could knit up the pattern, and then slip it back into the box, all ready to be wrapped up and given to a worthy friend. 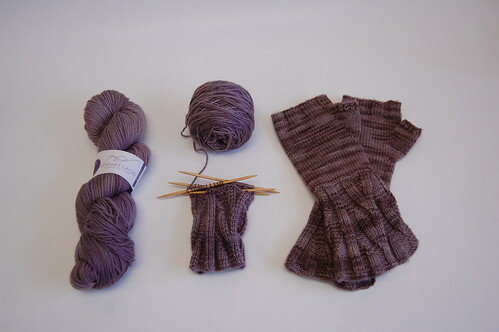 We are sure that it is not just knitters that enjoy matching their polish and their knits! So who is on your extra special list? Who deserves both the gorgeous Soakbox, and a knitted gift?